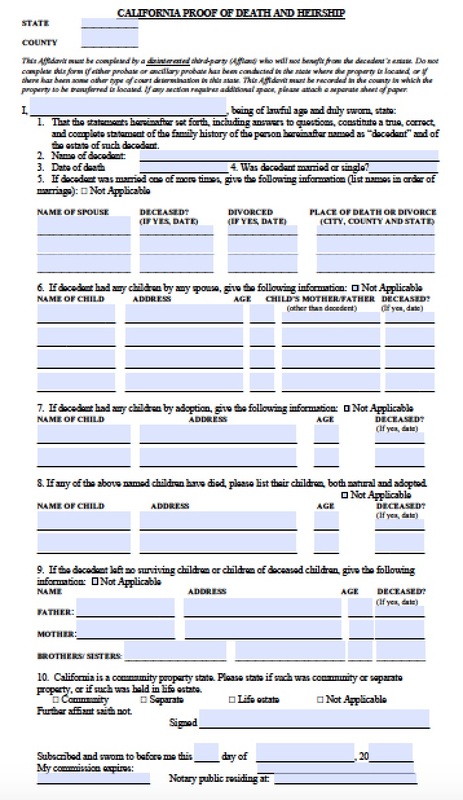 Family members that file a small estate affidavit to claim heirship of their deceased loved one’s real estate use these forms to avoid probate court. The gross total value of the estate may not exceed $150,000, including unpaid wages. The real estate is valued based on the date of the decedent’s death. While successors do not have to immediately file for the small estate affidavit – legally, they must wait at least 40 days before filing – they should do so within a few years. 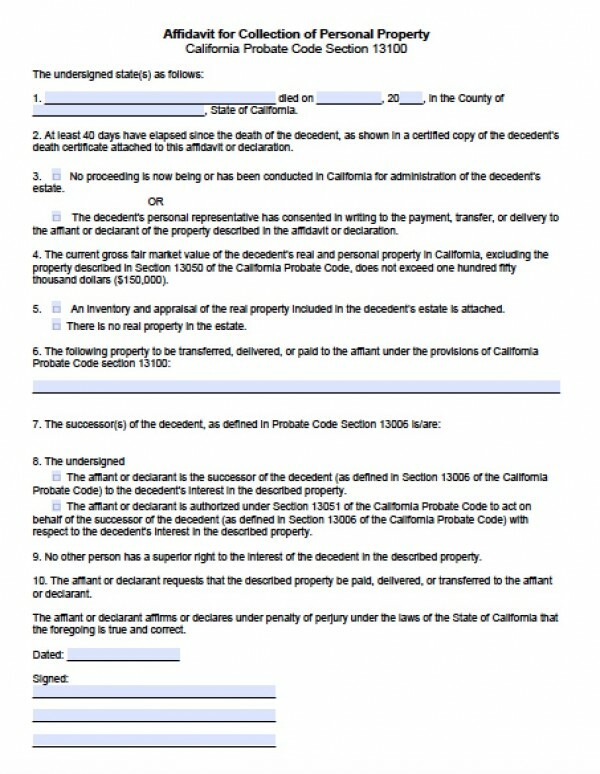 California Probate Code §§13200 – 13210 determines small estate affidavits.